Made for all types of crafters, The Felt Store's High Quality Acrylic Felt is the perfect material for cutting out shapes, creating backdrops, costumes, toy crafts, handmade gifts, and more. Our acrylic felt is made from synthetic fibers, available in more than 40 vibrant colors, with a higher durability than regular store-bought acrylic felt. 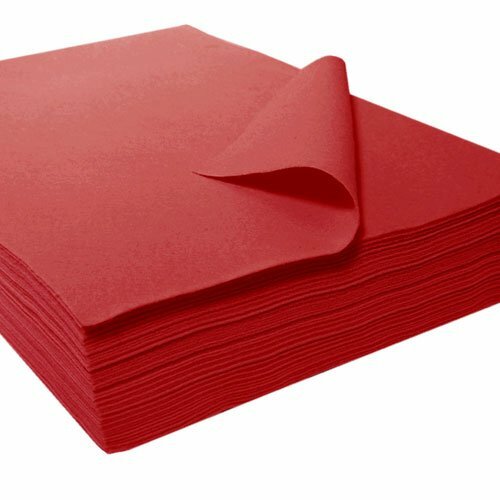 Our Acrylic Felt is easy to cut, fold, and glue. *Also available in single and 5 sheet packs. View More In Fabrics, Fibers & Textiles. If you have any questions about this product by The Felt Store, contact us by completing and submitting the form below. If you are looking for a specif part number, please include it with your message.